A very helpful librarian handed me this book as I was doing research on picture books that dealt with prepositions and opposites. I have to admit when I first read this book (alone), I didn’t think much of it. Later I read it to my four-year old and saw her face light up. I guess sometimes to really understand the appeal of a book, you just have to read it to a kid. This has become my daughter’s new favorite book, which is really saying something since she normally only wants to read Disney princess or Mickey Mouse Clubhouse. So in honor of my little girl I write today’s book review. Title: Where is the Green Sheep? “Here is the blue sheep. Here is the red sheep. Here is the bath sheep. And here is the bed sheep. This lesson plan has numerous activity ideas. Make flash cards for the word and have kids pair the opposites together. A song to the tune of “Are You Sleeping”. Create artwork of sheep doing the different activities and then write a few sentences about what the sheep is doing. This reading guide provides discussion questions, suggestions for creating your own “Where is the Sheep? story”, phonological awareness activities, and many more. Sit your kid in the lap, and have them point to the sheep matching the text you just read. Once your child has become familiar with the book, encourage them to tell you lines from the story or even the entire book. This a sweet, simple, colorful book perfect for pre-schoolers. In the beginning I had my doubts of the moon sheep and the bed sheep, since it isn’t grammatically correct. But after seeing my four-year old fall in love with the book, and read it to herself (more like recite from memory) any concern I had faded away. Each page just has a short line with a complementary picture, this works great for kids taking that first step into reading. 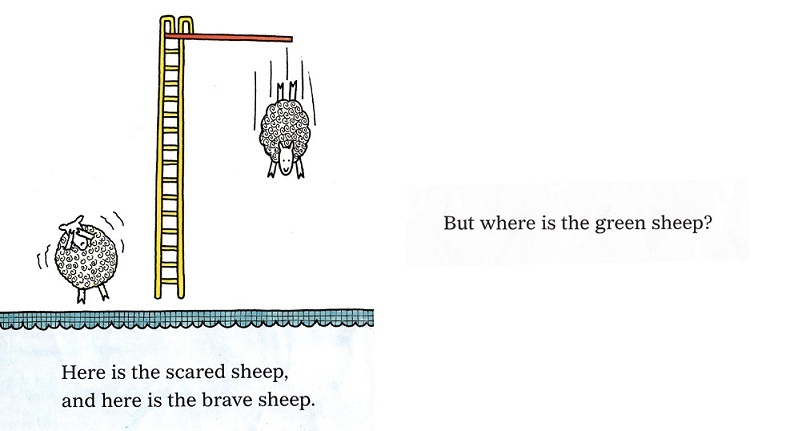 After every four sentences the question “where is the green sheep” appears; this will keep kids turning the pages hunting for that elusive green sheep. Here is one of my daughter’s favorite page spreads. My kids are really picky readers too, but I can tell already they’d love this. Thanks! I love this book, and that is probably my favorite page too! I admire the simplicity of this book, and test it still works. Like you say, kids love it. Mem Fox is a master – I’m glad to have one of her books on our list! 🙂 Thanks for sharing this one, Darshana! auto-correct/word prediction is driving me nuts! that was supposed to be yet not test! What a cute book! I bet my sister would like it 🙂 I like your make a sheep activity! This is a Mem Fox one I don’t know, Dar, but I am never disappointed with her books. By the way I would be the sheep at the bottom of the diving board hiding his eyes! My daughter’s favorite one is the scared sheep. This book looks super cute. I’ll have to try this out with my daughter, who is really resisting reading. 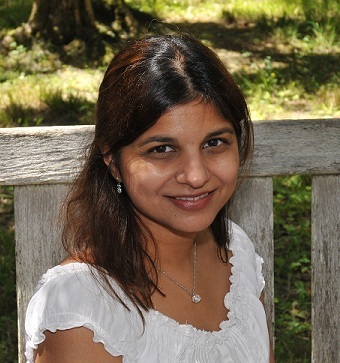 Darshana, thanks for introducing this as I am not familiar with it. It sounds and looks like it is presented simply but with a cute message for young kids. Nice choice for PPB. After reading this review, I want to read the book, too, and find out where that green sheep is! thanks for sharing! Oh how fun! I love the illustrations. I’m picking this one up at the library on my next visit. Oh how I love Mem Fox. I haven’t seen this one. Thanks for the recommendation. My son loves this one. It is a great example of opposites. Now that he’s older, he really looks hard for the green sheep! I think it can help children recognize that we are all unique individuals. Love your activities and resources also. Mem Fox always seems to know what will appeal to children! She is amazing. Thanks for adding her to our list! I love the cover! Mem Fox does a wonderful job. You have great activities to go along with the book, too. Thanks for sharing. This is a favorite in our house, too. My kids love to look at the spread of all the sheep in various (crazy)activities. And, nope, we never find the green sheep there! Great resources and activities! Thanks for sharing! I love this book so much. The first professional theater show I took my son to was a marvelous production based on this book. Thanks for sharing at The Children’s Bookshelf.